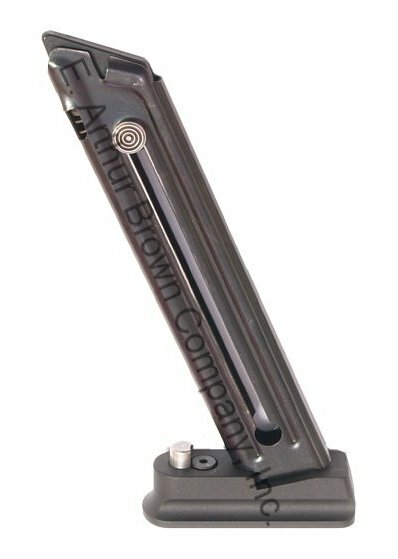 The Volquartsen Spring Loaded Magazine Ejector Base Pad for the Ruger 22/45 will improve the ?mag drop? of the factory magazine. Its unique design uses spring pressure to forcefully remove the magazine from the grip frame. The innovative design not only aids in magazine removal but also adds an extension to the bottom of the magazine to make magazine reloads quick and reliable every time. The ejector is CNC machined from an aluminum alloy and black hard anodized. Also features a CNC machined stainless steel button for increased durability. 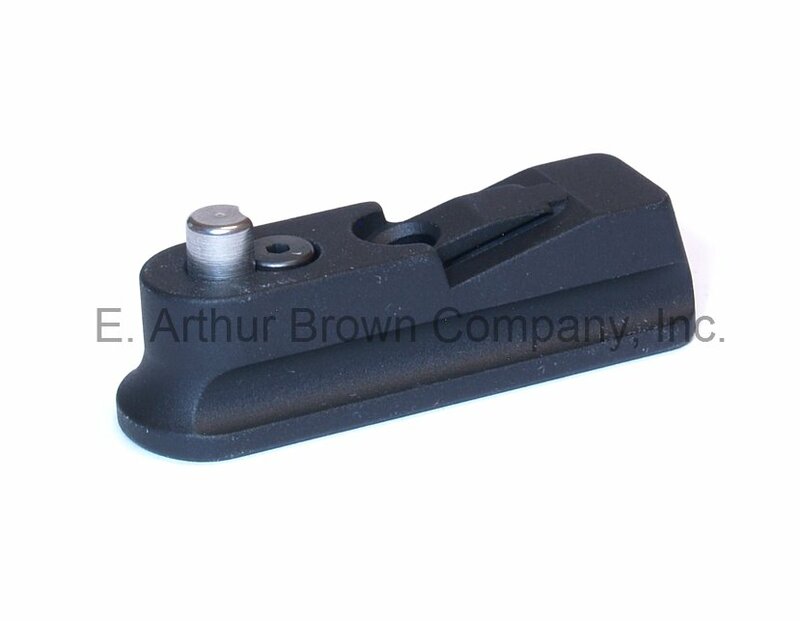 Simply remove the magazine floor plate from a factory 22/45 magazine and replace with this ejector for an enhanced shooting experience! they work great will buy some more soon !!! Worked very nicely. Magazine dropped free and shape of base plate allowed easy assist if needed. Really added that snap to mag removal.